Did you know the average American owns 8 credit cards? Average American debt grows higher and higher every year. 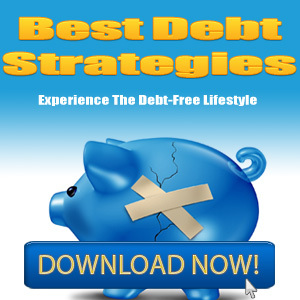 If you are one of the many millions who carry a high amount of revolving debt from month to month, getting out of the debt cycle can seem impossible. Experts advise us not to carry a credit card balance at all to avoid interest and fees, but sometimes it’s just not practical. One lost job or medical emergency can send all well intentioned goals to the wind. So what can the consumer do to get credit card debt help that actually, well, helps? The good news is that there are several options available to the debtor. 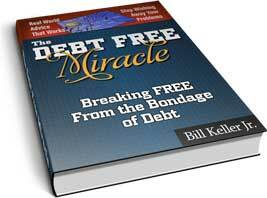 The simplest way to pay down your revolving debt is to overpay the balance every month. This is easy to do and doesn’t have to involve any sort of middle man. The problem with this solution, is actually the fact that the credit card issuer will apply any extra funds to your interest on the balance instead of the principal. If you’ve missed a payment or two you may also find that the interest rate has skyrocketed to an outrageous figure. One bank actually charges an astonishing 49.9% APR to all balances. It doesn’t help to pay all that extra money into an ever increasing interest rate right? So what are the other options available? If your credit score is still good, usually in the 700 range, you may want to look into consolidating your credit card debt into one single loan at a much lower interest rate. Apply for a fixed term, low interest rate loan and pay off the credit card debt you have all in one go. Banks and credit unions are able to help you in this area. Make sure you shop around to make sure you get the best deal for your needs. If your credit score isn’t quite so stellar, you may want to consider calling your credit card issuer directly and negotiating a lower interest rate with them. Most are willing to help their consumers with their payment needs. If your debt is becoming completely unmanageable, your next step would be to contact a credit counseling agency. The way these work are to take your balances and work with the credit agencies as a third party entity. Their arrangement with credit card issuers allows them to negotiate lower rates on your behalf and pay more towards the principal balances you owe. Make sure you do your due diligence before signing on with any company. Check references and any industry standards they adhere to. The last two options we’ll discuss are settlement directly with credit card companies and filing bankruptcy. Settling directly with a creditor is usually done through a company that specializes in this technique. They contact creditors on your behalf and negotiate an amount to settle (or close) your account. Payments are made through a savings account you have with the company. Bankruptcy. Only use this option as your last resort for credit card debt. It can help you if you owe a very large sum of money and have tried other methods that are now not working for you. There are two types, Chapter 7 and Chapter 13. Both require a competent and knowledgeable attorney to handle your case. Seek references and ask lots of questions. All states have different filing and debt counseling requirement attached to them. Again, it’s advised that you seek knowledgeable legal counsel. Successful credit card debt help is out there, but you need to take action to see results. Consider each and decide which one fits your financial profile best.